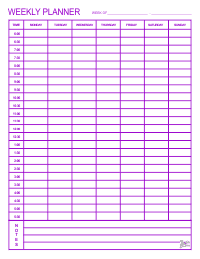 Printable weekly planner downloadable in PDF format. Includes space for appointments for each day of the week and a notes section at the bottom of page. 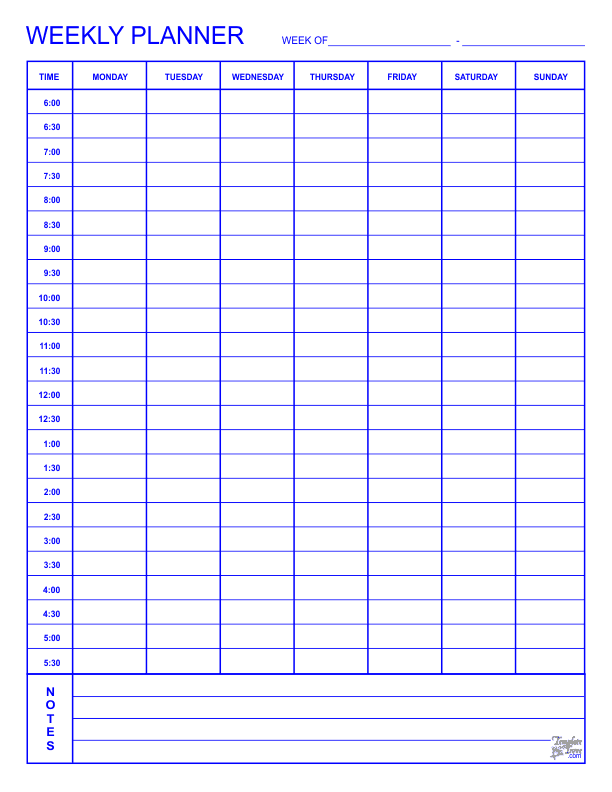 This template prints on standard 8 1/2" x 11" letter size paper and is available in 5 colors.